Your Freedom: What Will You Do With It? All people seem to seek freedom. We desire to leave behind the constraints on our life and to be less bound by our circumstances, whether those limited finances, unsatisfying relationships or unpleasant and time-consuming work. We can become so focused on having change for its own sake. It can be hard to keep in mind what it's going to be like when we actually achieve those changes. What would you do with your freedom? Let's take money as an example. It's a good example, because we often use money as a stand-in for our happiness and freedom. We can often find ourselves thinking that if only we had more money, we would automatically have happiness and freedom. Perhaps we hope for better accommodation, better education, being able to be generous to people or one of many other outcomes of having more money. We pursue this dream, without really going into the details of what it would be like to actually have more money. Similarly, when we seek increased freedom we seem to not really have a clear idea of what we would do with this extra freedom. In fact, when we think about freedom, we tend to think about just having an absence of the things that constrain and bind us now. However, having freedom is different from just the absence of constraints. We don't really have a clear idea of what we would do with this freedom; we don't understand how it might change our lives. 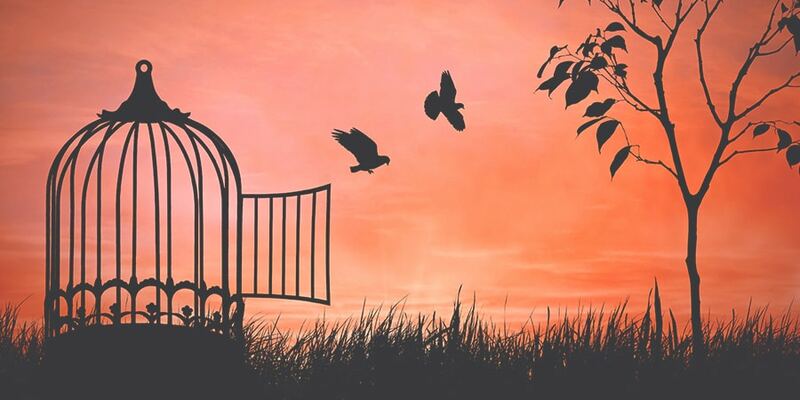 The paradox is that we might be so keen to cast off the constraints of our life, only so that we would take on other constraints in the belief that they actually lead to greater freedom. I believe your freedom should be more than that. Because a pattern of giving up constraints to take on greater constraints all in the name of increasing your freedom might be what you have been doing already. The constraints that you currently have may be the constraints that you have willingly taken on in the past, in the belief that they are actually greater freedoms. If we are to seek freedom, we really must get clear about what this freedom actually is. We need know what it would look like, what we would do with it and how would make our lives better. This would help us choose the type of freedom that would actually free us rather than further constrain us. If you would like to read more, here and here are two other posts I have written on similar subjects. I offer counselling in Richmond, an inner suburb of Melbourne, and in Sunbury. Let me know what you think in the comments. Now, read about how the seeds of today were planted yesterday. The word “Freedom” means for me is “Education”. But, my father as a financial problems from my childhood. He has given better and very good education for my own sister and my own brother. And i am still asking for “Freedom to educate” in my world. I lost many golden opportunities in my life. I can certainly hear that you don’t fee that you have got the education that your siblings have had, but it seems as if you have quite a drive to get you PhD. I wish you every success in working towards it. Liberty in death or freedom in death? are we in prison until we breathing? Prison of requests and needs? I’m not sure exactly what you are asking me, but I definitely don’t think that we only gain freedom in death, nor do I feel we are in prison for the whole time we are alive, a prison consisting of requests and needs. The point that I was trying to explore through my post was about how we fight so hard for our freedom, but often struggle when we get that freedom; we seem so orientated to the fight for freedom that we are sometimes ill-equipped to handle success and victory when we obtain it.